For those of you that haven’t heard, there is a special sewing event, the Outfit Along, that started June 1st and runs through July! Sewing blogger Lauren of Lladybird and knitwear designer Andi Satterlund have teamed up for the third year to challenge participants to create their own outfit using both their knitting and sewing skills. 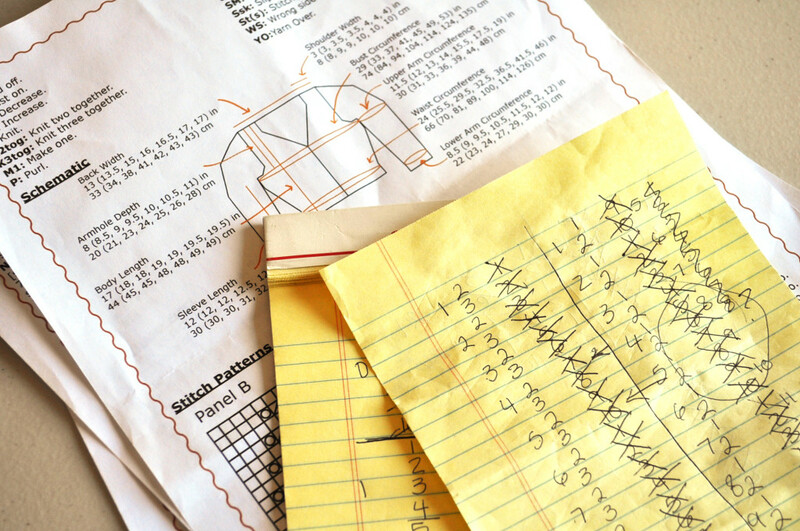 You can play along just for fun or get your two garments done before July 31st and you might just win one of the amazing prizes they have put together (including a Style Maker Fabrics gift certificate!). Read more of the details HERE. As part of the Outfit Along, the lovely hosts have selected two official patterns that participants can choose to make during the challenge. Andi designed a special new knit pattern just for the occasion, the Zinone made in Quince’s Sparrow yarn, and will be posting helpful tutorials and other info to help knitters along the way. 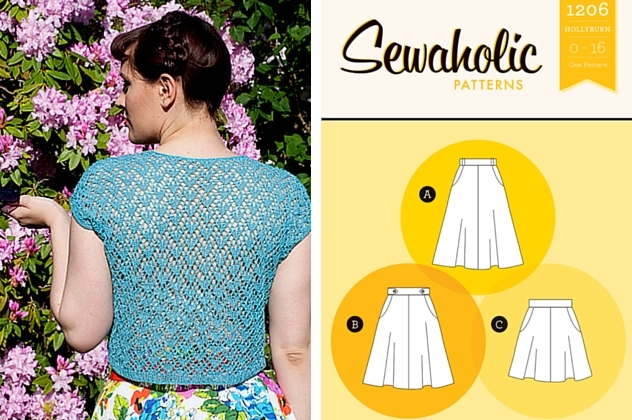 Lauren will be making Sewaholic’s Hollyburn skirt during the month of June, also posting tips and tricks for the pattern along the way. We had the pleasure of working with Lauren during our Spring Canvas Blog Tour a few months ago and to return the favor we agreed to sponsor the Outfit Along this year. This includes providing a treat for participants, prizes for the winners and a special guest post about fabric (our favorite subject!). We kicked off the Outfit Along on Lauren’s LLadybird blog this past Wednesday with our post on selecting the perfect fabric for your Hollyburn skirt. 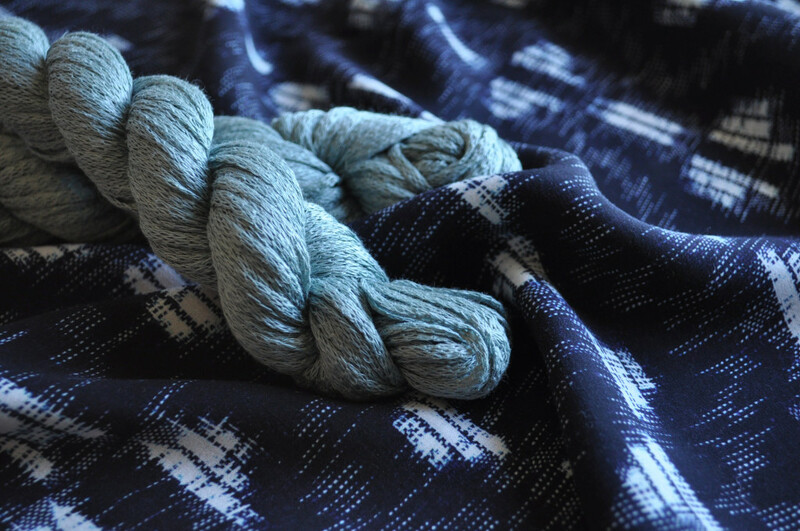 Read our post HERE and see some of our fabric recommendations paired with a whole range of yummy linen yarns! 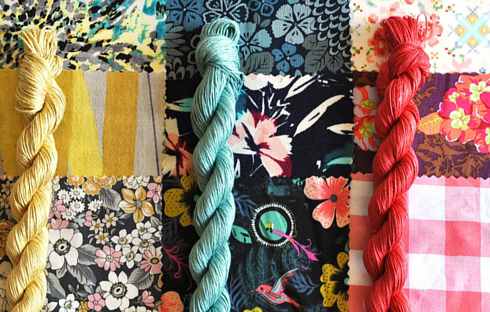 A few of our favorite fabric choices paired with Sparrow yarns. I was so excited to work with Lauren on this project, I couldn’t help but get in on all the action too! It has been a while since I last knitted and I wasn’t so sure about working with a lace yarn and pattern- let’s just say we haven’t gotten along in the past… I loved the idea of knitting with a linen yarn and I was happy to discover that Quince makes a heavier counterpart to Sparrow called Kestrel! 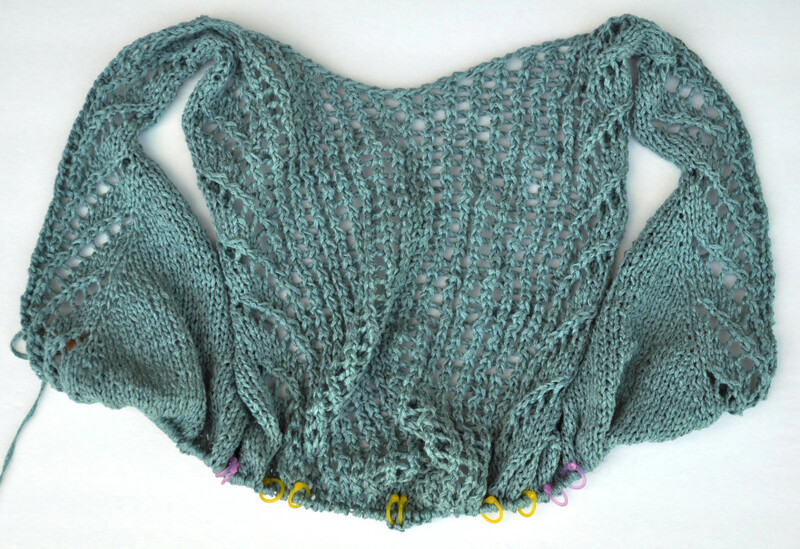 I decided to pair this yarn with Andi’s Vianne cardigan from last year’s Outfit Along and knit it in a soft aqua called Aegean. I haven’t exactly picked what to sew yet, but I do love how the yarn looks with this navy and aqua rayon challis. I’m thinking maybe a soft tank to wear with my cardigan. I’m also debating about making my own Hollyburn to complete the outfit or maybe go with pair of capris or culottes. What do you think? What fabric should I use? My Initial Fabric and Yarn Choices. I’ve been knitting almost every evening to hopefully have my project done in time. So far some pretty good progress has been made- just need to finish up the waist shaping and then onto the sleeves and bands! I love how the feathery design is turning out and that back is going to be stunning! I’d like to highly encourage all of you to join in on the Outfit Along. Step out of your box a little bit and approach your garment creation from a different vantage point. It has been a lot of fun so far and I can’t wait to see everyone’s creations! I’ll keep you posted on my progress and hopefully share my completed outfit sometime in July. Happy Stitching (by machine and knitting needles)! P.S. Be sure to watch for a special treat in our OAL guest post HERE.